When time travelers go back to hunt dinosaurs, what could possible go wrong? 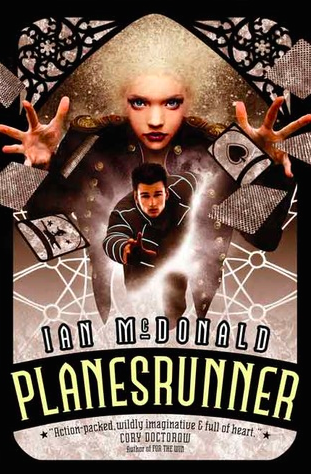 This week the Forgotten Book folks are celebrating the life of Ed McBain. I haven’t read anything by Ed for this review, but I thought I would revisit this review from a couple of years ago. This was a favorite book growing up. I have also inserted a few new comments down below. This is the 101st or 160th (you decide) in my series of Forgotten Books. The astute mystery fans among our readers already know that Richard Marsten is a pseudonym for Salvatore Lombino aka Evan Hunter, Ed McBain, Curt Cannon, S. A. Lombino, D. A. Addams and Ted Taine. A prolific writer of mysteries, he came very close to being a major science fiction writer. 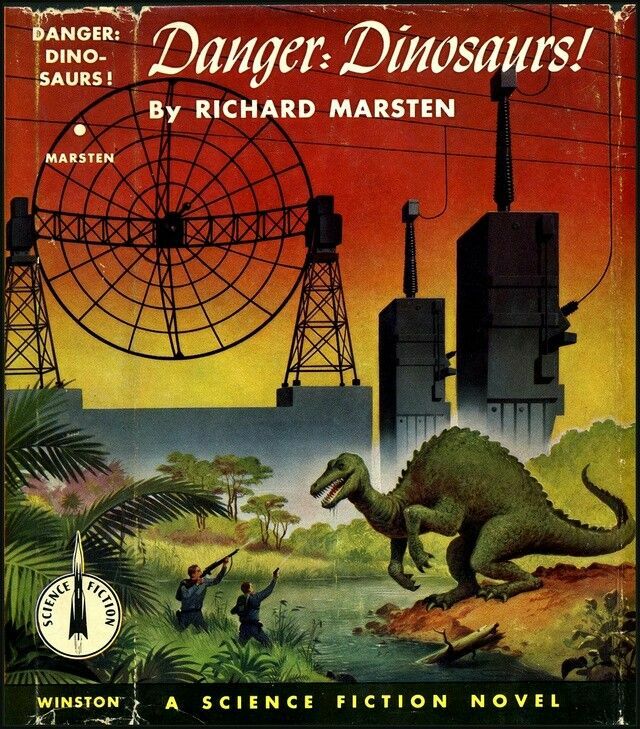 In the early 1950’s as he was writing the first of his 87th Precinct novels, Evan Hunter (he legally changed his name in 1952) wrote several science fiction novels including the Winston juveniles Find the Feathered Serpent (as by Evan Hunter) as well as Rocket to Luna and Danger: Dinosaurs! (both as by Richard Marsten). I did an article in the early ’90s for a Martin Goldberg book to be entitled The Ed McBain Companion in which I postulated that had the 87th Precinct novels not taken off as they did, Hunter might have continued in the science fiction realm. We will never really know. He did about two dozen short stories and one more novel, Tomorrow and Tomorrow, which I recall liking quite a bit though it has been quite a while since I read it. To the book at hand! Danger: Dinosaurs! is a classic time travel novel where people can travel back via the Time Slip to the Jurassic period to “hunt” dinosaurs with camera and lens. Young Owen Spencer is set to take his first trip, theoretically as his brother Chuck’s assistant. They are taking back a group led by Dirk Masterson, his assistants Brock Gardel and Arthur Baron, and Masterson’s niece Denise. They will be safe with their use of a mile-radius force field which will keep everything safely away. What could go wrong? Ask Ray Bradbury and L. Sprague de Camp. In the first few hours, Masterson “accidentally” destroys the force field and all bets are off. The trip only allows dinosaurs to be shot only with cameras to prevent any potential time paradoxes from occurring. But Masterson has conveniently brought high powered weapons along (very much against the rules) and is planning on hunting and protecting the group at the same time. His first targets are a herd of stegosaurus and a pteranodon. Nothing fazes the beasts and when Masterson starts a brontosaurus stampede, he nearly dies. Chuck saves him, at the cost of his own life. This brings up a time paradox that I found implausible. Marsten postulates that since Chuck dies long before he is born, he ceases to exist at any point in time. All memory of Chuck is erased, just as if he had never lived. I think he would have existed for those periods of his life up until his death. It is a major plot point, and while it bothered me, it wasn’t a deal breaker. I still enjoyed the book. During the week they have to spend before being rescued, they encounter a number of dinosaurs as well as two lost scientists, Dr. Perry and Dr. Dumar, who were doing geologic work and had discovered a large uranium deposit. The group heads for the two white hills marking where they have to be when the automatic return is set to occur, when they experience an earthquake and find their markers gone. This is just one of many setbacks and problems that befall the team, not including Masterson’s personal agenda, which does not include following any of the rules set down by the time agency or Owen and Chuck. The book is a good fast, fun read that I quite enjoyed in the early ’60s, again in the 90’s and once more this last weekend. It’s highly recommended. Unfortunately it has not been reprinted in an accessible format. The copies online range from $50 to $400 or so. You can find some copies less expensively if you don’t mind a lot of wear and not having a dust jacket. I like my copy better. But, when you get one, you get the fabulous Alex Schomburg endpapers (and the wonderful dustjacket). These are full of iconic science fiction tropes and should be represented in every science fiction fan’s library. And if you like this one, try the others. They are superb stories. Science fiction lost a great writer when McBain decided to go to the 87th Precinct. But the mystery field rejoiced. And so should we.